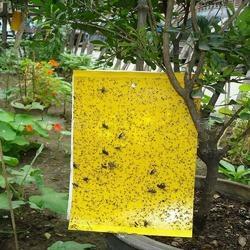 We are the leading manufacturer and trader of Yellow Sticky Pad. 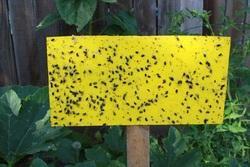 A flourishing enterprise in this domain, engaged in presenting a wide range of Agricultural Insect Glue Trap. This pad is developed using quality material and higher technologies. Our professionals opt for strict quality tests throughout the production of the pad to guarantee optimum performance. The provided pad is made accessible in different capacities. Provided pad is built for heavy operations. Besides, clients can get the pad from us at industry leading rates.